THE SKINNY: It seems like Jergens has a "new" formula every season.This one is better than what I remember from the past. My skin is already especially dry (and winter is not even close yet) and this little packet was enough to coat my legs and got them feeling better after just one use. The lotion went on easy and smooth and had a simple, light fragrance. It did not irritate my skin or leave a greasy feel behind. It was just right, really. And for less than $6 -- plus you can buy it wile picking up groceries -- this seems like a major win. 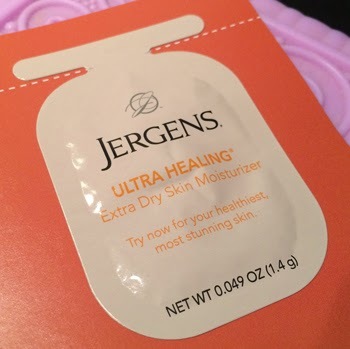 CHECK IT OUT: You can find Jergens Ultra Healing Extra Dry Skin Moisturizer at drug and grocery stores everywhere.